Lifestyle Homes of Sarasota, member of The Kristan Cole Real Estate Network Just Listed a home at 1255 Whitehall Pl, Sarasota Florida. Slice of paradise on the water, this 4 bedroom, 2.5 bath seaside escape pool home located on a deep water canal with a private dock is waiting for your boat to enjoy the spectacular Florida boating with quick access to the inter-coastal and no bridges to Sarasota Bay. With 60ft of waterfront, this home is only three houses away from the bay! All new plumbing throughout. Recently updated HVAC system, hurricane rated new garage door w/ intelligent Wi-Fi remote app-controlled opener, energy efficient water heater and completely remodeled, dual vanity, spa-like marble master bathroom, second bathroom and powder room. Shinny new laundry/sand room/butler's pantry with lux appliances and finishes, wall of cabinets, side door entrance from driveway and garage. Open split floor plan combined living/dining room with the kitchen overlooking the pool, dock and canal beyond. Endless possibilities for entertaining and fun. Relax poolside overlooking tranquil views of lush gardens among grand oaks and tropical foliage. Easy 5-minute walk to world famous Siesta Key beaches for beach time fun and sunset walks just 4 blocks from your front door. Located in very quiet and private neighborhood close to all amenities, restaurants and shops. Come see this piece of true paradise. 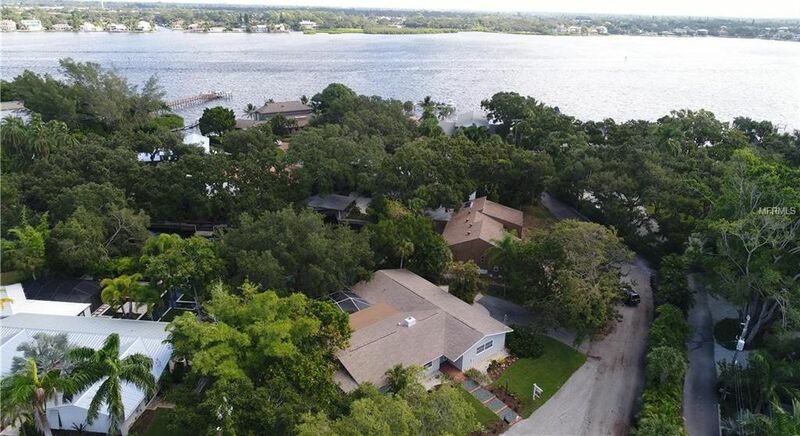 To know more about this listing and to see more photos of this property, please visit our website or to schedule a showing, please call us at 941-387-4403 or email us at Worldwide@TheKristanColeNetwork.com. Lifestyle Homes of Sarasota is a member of The Kristan Cole Real Estate Network with Keller Williams Classic group in Sarasota Florida with offices throughout the United States and future plans for worldwide office locations. For over 34 years Kristan Cole and her organization has served buyers and sellers with their real estate services. Currently with multiple locations including Alaska, Arizona, Portland Oregon, Denver Colorado, Massachusetts, Washington DC., Orlando Florida, some parts in Wisconsin and some areas in California. The goal is to provide unprecedented marketing strategies and PR services to provide exposure for their sellers as well as unmatched services to assist home buyers. Under her leadership her team has consistently ranked in the Top 100 in KW and Top 250 among all teams in North America, as ranked by The Wall Street Journal and REAL Trends. In addition, Cole, now Vice President of Keller Williams Mega Agent Expansion, has also served as the Regional Director for Keller Williams Realty’s Southwest Region, a segment of the company representing more than twenty-five offices and thousands of agents. She also owns one of these offices, which has over 300 agents and three branch locations. Her other leadership opportunities have included serving as President of Alaska’s branch of the Commercial Real Estate Women (CREW) Network, Director of Keller Williams Realty’s Commercial Leadership Council, and Talent Search Director for Keller Williams Realty International's corporate headquarters.